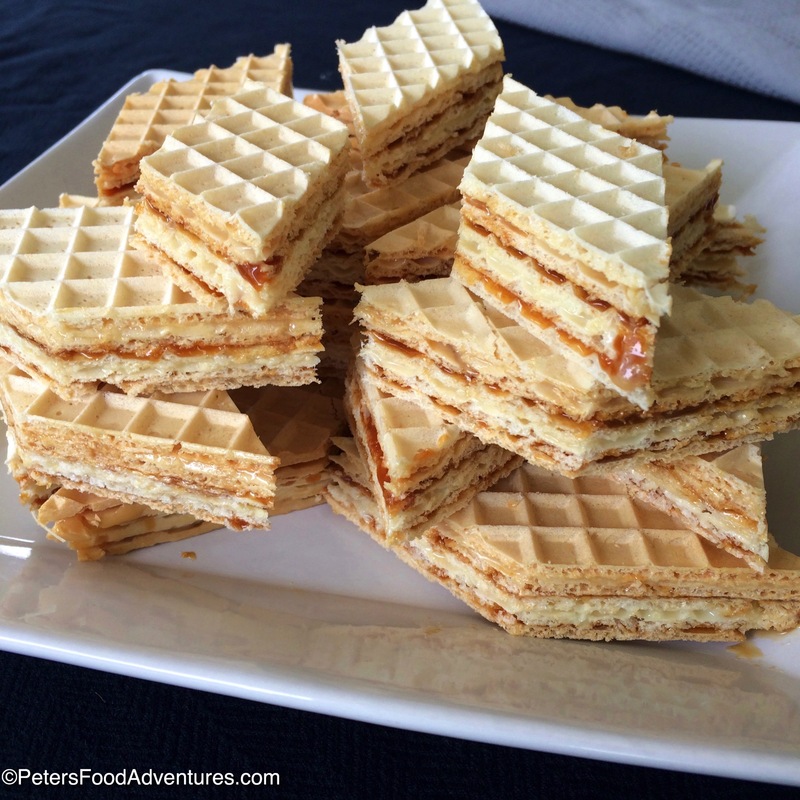 Vafli Wafer Cake with Caramel (Вафли) is super easy to make, and so caramel-y and sticky. It’s known by several different names in Eastern Europe, Вафли, Oblandi, or Oblatne, depending on which country you’re from possibly more names. In Russian, Vafli (Вафли) literally translates into waffles, meaning the waffled layers of thin desert wafers. You can buy them at any Russian/Eastern European Deli, but don’t use regular frozen Eggo Waffles, that definitely won’t work! There are many variations of Vafli Wafer Cake (Вафли). Some require you to cook the caramel with butter and lemon juice, or mixing sweetened condensed milk with cocoa. Others take turns layering sweetened condensed milk with Dulce de Leche. Another version has crumbled Halva between the layers of caramel. Now you can make your own Dulce de Leche or Caramel by boiling a can of sweetened condensed milk. Take a can of sweetened condensed milk, place unopened in a pan and fill with water until its completely covered. Boil and simmer for 2-3 hours, and it magically turns into caramel or Dulce de Leche. This is so delicious to eat on its own, I usually eat it with a spoon out of the can. But like I said, this is a super easy version of Vafli Wafer Cake to make. Just go and buy some Dulce de Leche, or some Caramel Spread. I use Bonne Maman Caramel Spread, so easy to use and deliciously sticky. Spread, layer, repeat, eat. Bon Appetit! Приятного аппетита! 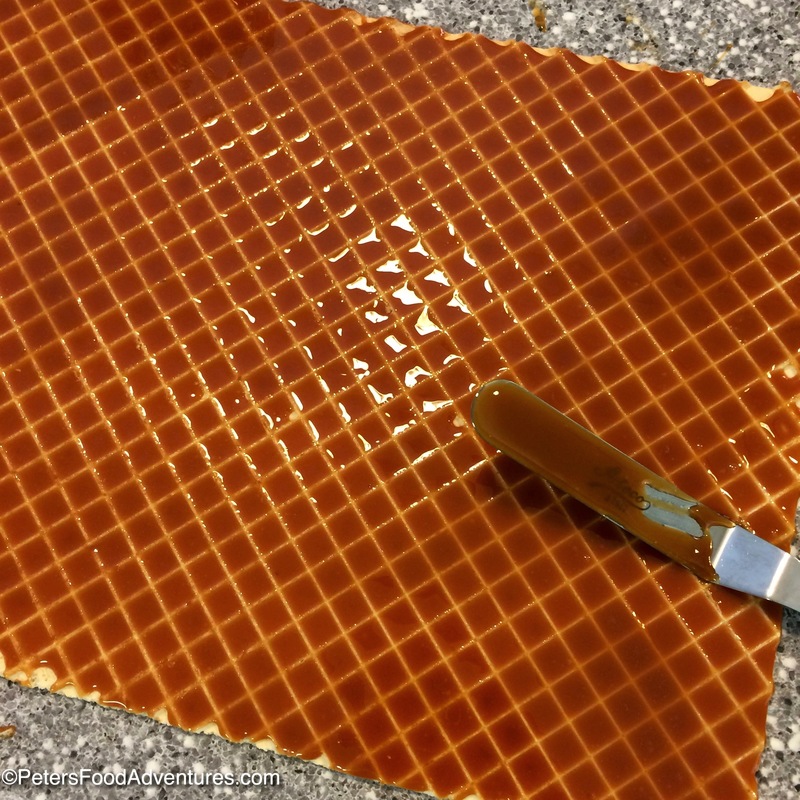 Spread a thin layer of Caramel Spread on a piece of waffle wafer. Make sure you go right to the edges. 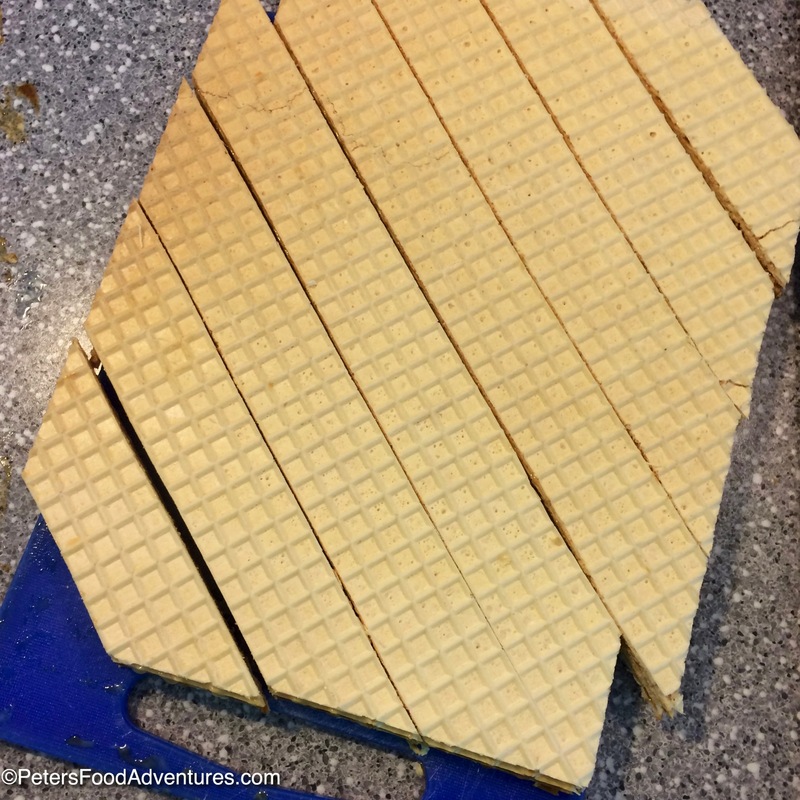 Layer it thick enough so that another waffle wafer will stick to it. Repeat. 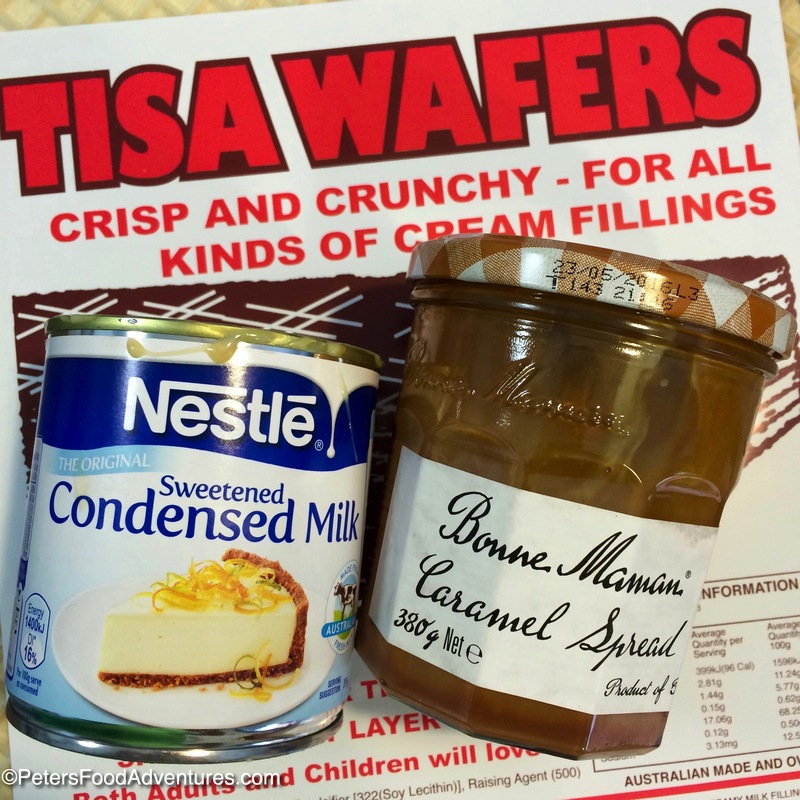 You can alternate the Caramel Spread with sweetened condensed milk. 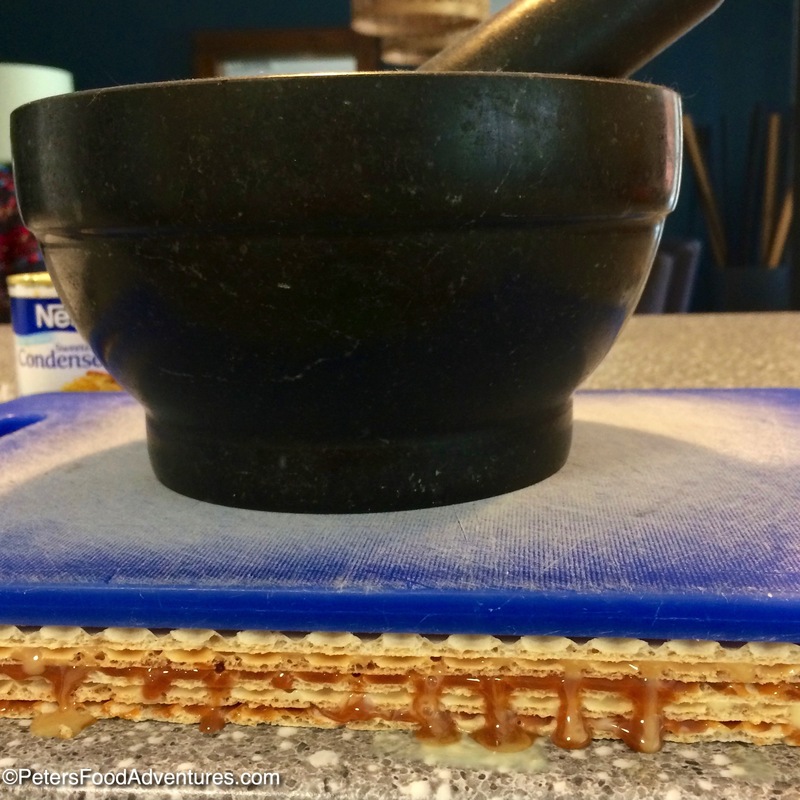 Keep layering the waffle wafers with the Caramel Spread and sweetened condensed milk until you are happy with the height. I usually go 8-10 high for thin round wafers, or I'll use 5 if I have the thicker rectangle wafers (sometimes they are hard to find). 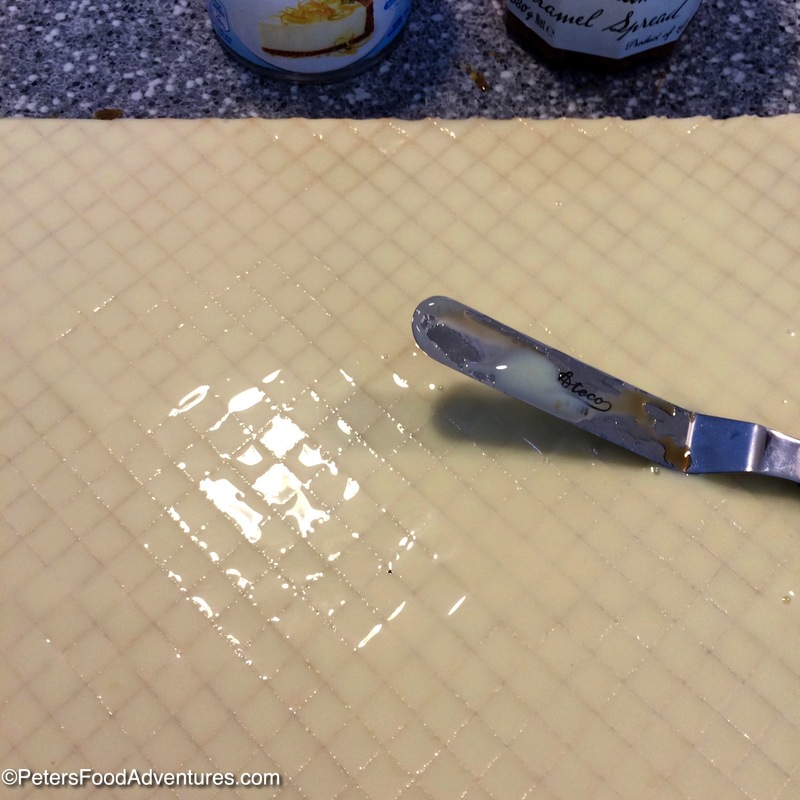 Using a cutting board, press down lightly applying even pressure on top of the Waffle Cake to bind the layers together. Weight it down with something heavy, like a mortar and pestle and allow to set for at least 1 hour. Refrigerate until you are ready to use. 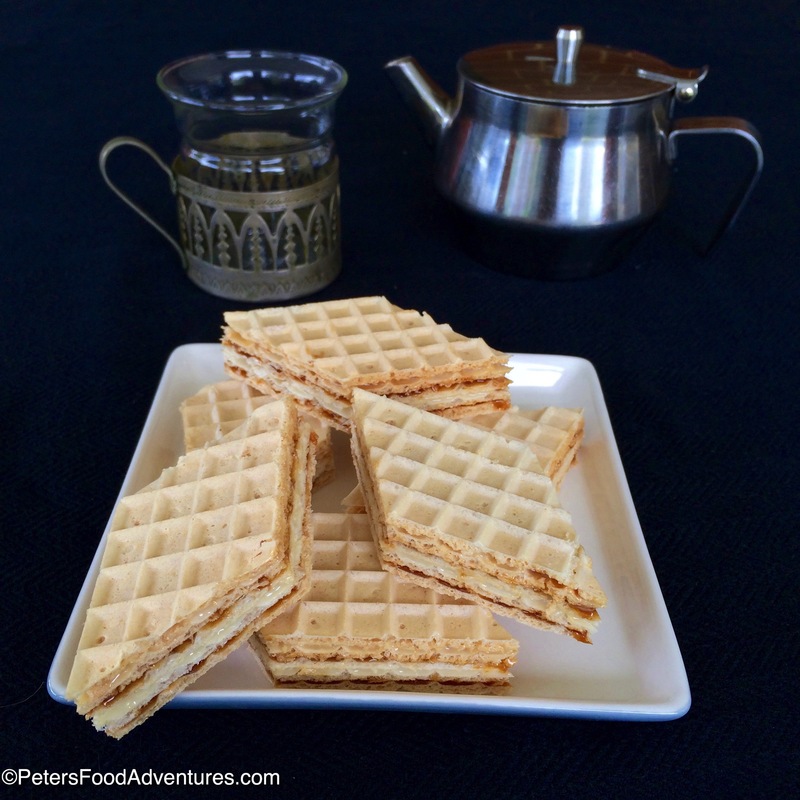 Cut the Russian Caramel Waffle Cake (Вафли) into diagonal pieces and enjoy with a cup of tea. Wow these are a quick and easy to make snack.. Thanks for sharing it.. ???????????? Thanks Neethu, you’re right, quick n easy. Love the caramel! ??? ?